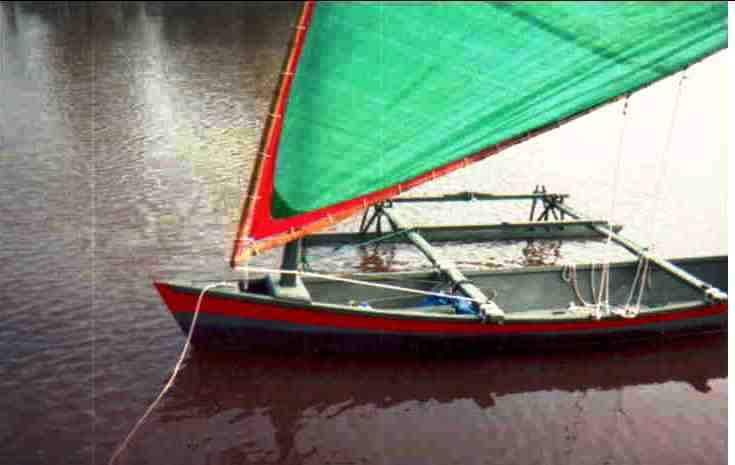 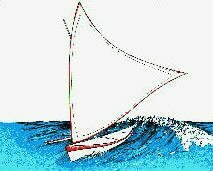 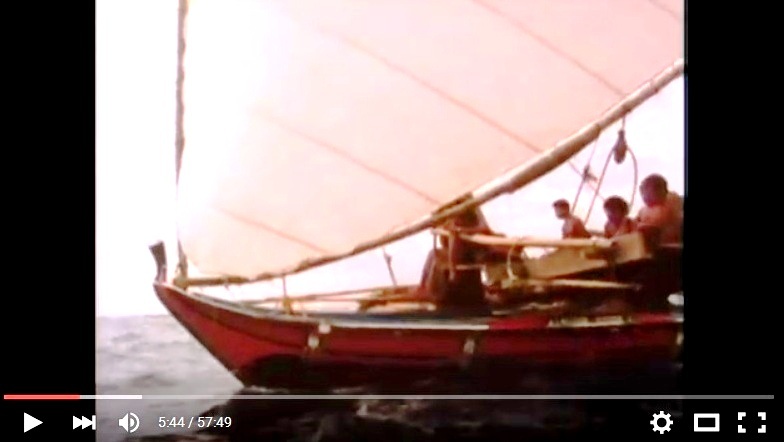 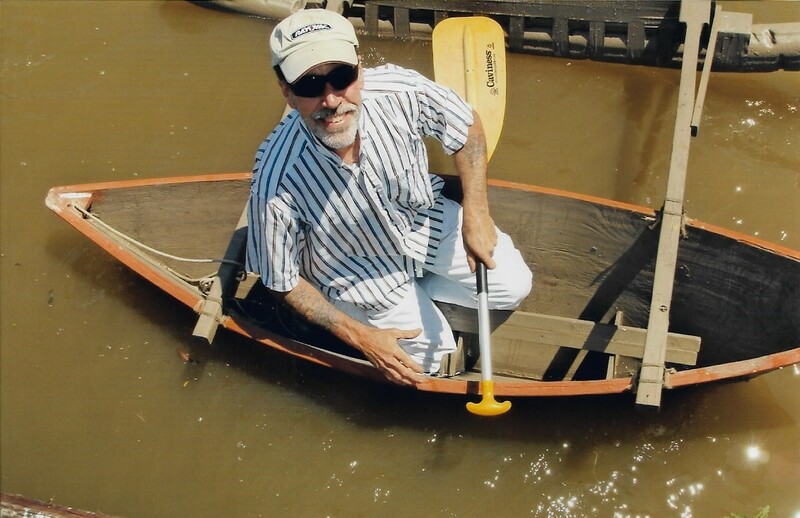 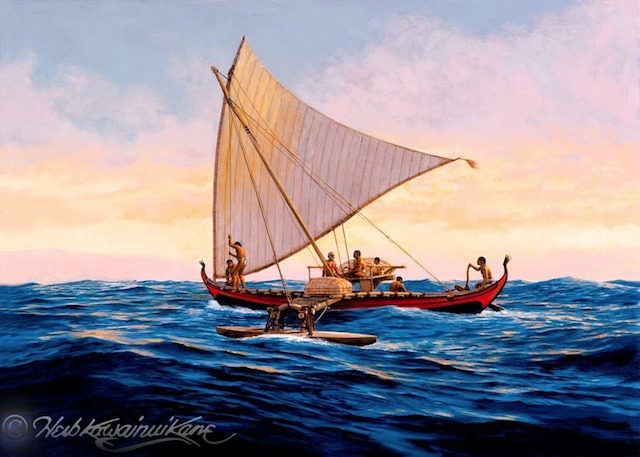 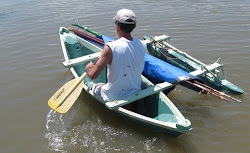 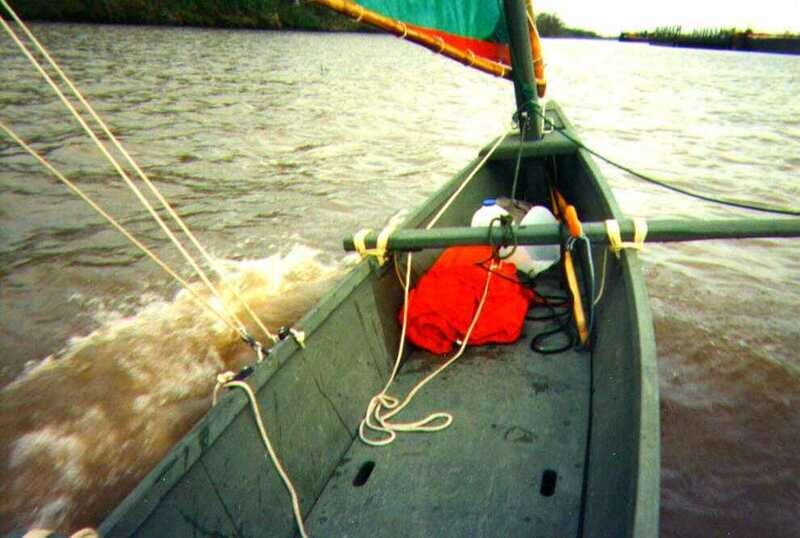 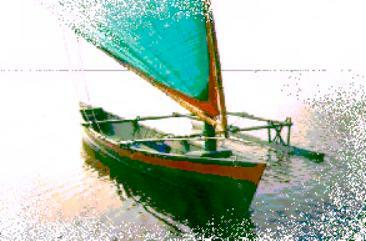 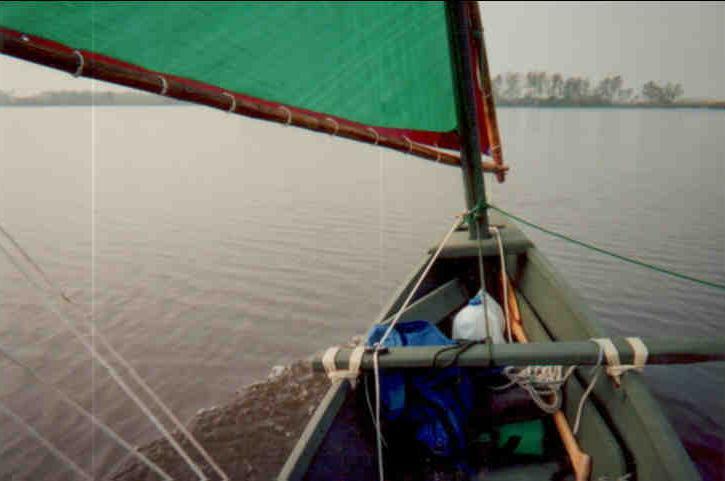 ﻿Voyager, a 16 foot sailing outrigger canoe, or more properly, pirogue, was built back in the 90's. 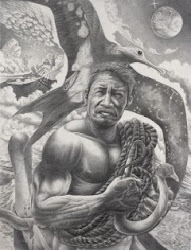 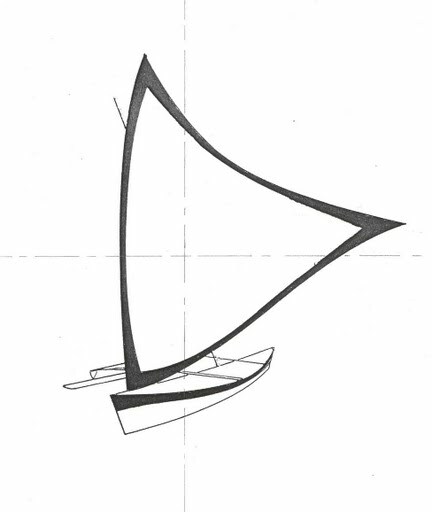 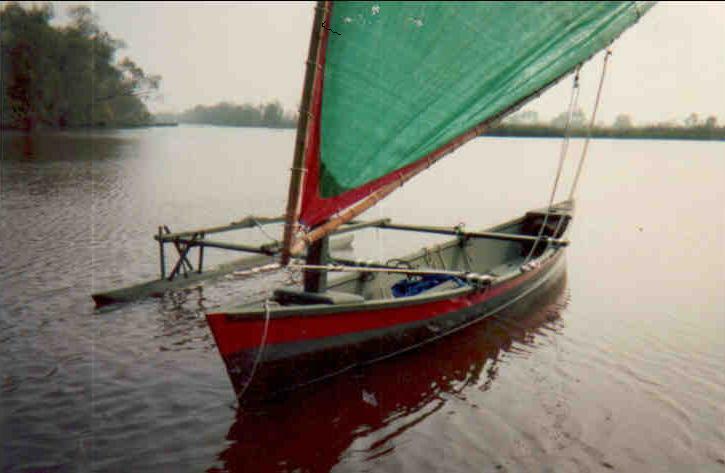 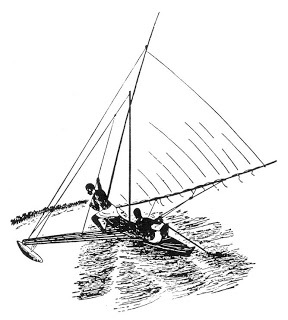 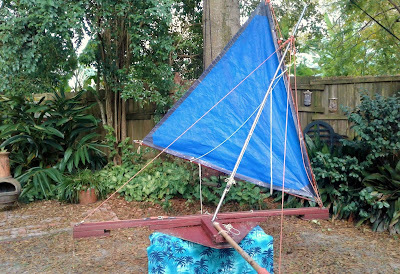 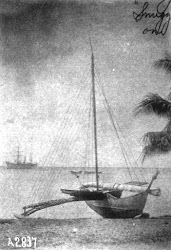 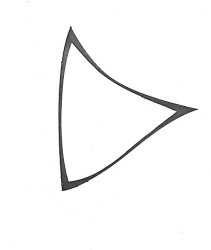 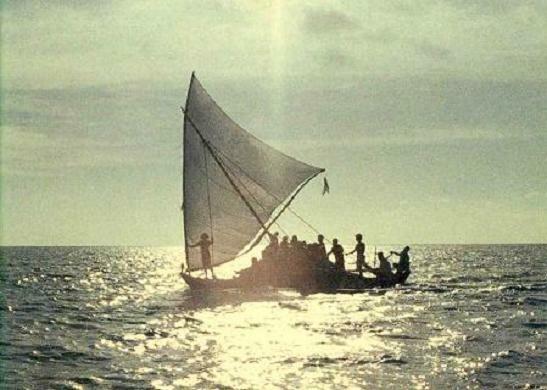 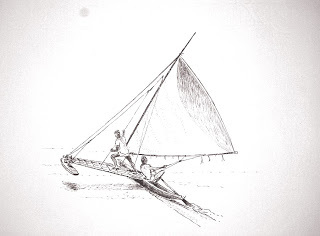 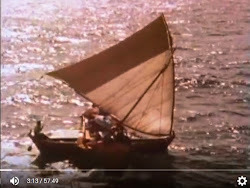 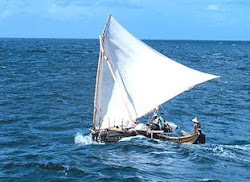 First configured as a tacking outrigger she or he (depending on your tradition) was rerigged in the traditional Micronesian proa manner once I learned of it. 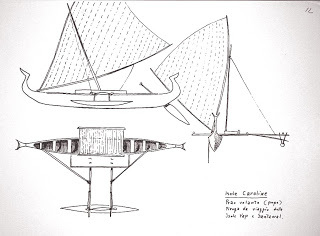 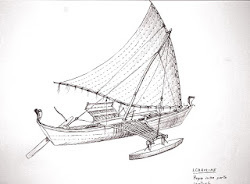 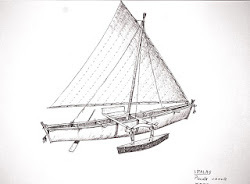 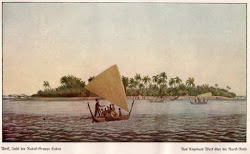 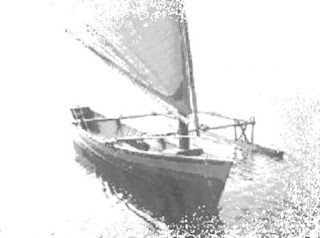 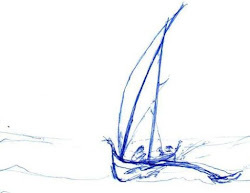 The photos below show the early rig, a sort of unstayed gunter/lateen (I don't know, I made it up).﻿ The drawings below are of the later true Micronesian shunting rig.